Many house hunters have romantic ideas about owning a house with a fireplace. For house hunters in urban areas, those hopes are rarely fulfilled. Existing housing in the Boston urban area was mostly built without wood-burning fireplaces. Fireplaces were not used for heating at the time that most of this housing stock was built, it was a decorative item. Consumer demand for fireplaces was lower at the time, partly because firewood storage requires outdoor space; yard space is at a premium in Cambridge, Somerville, Brookline and Boston. Another reason is that central heat or gas heaters were preferred because they were “modern” and convenient. 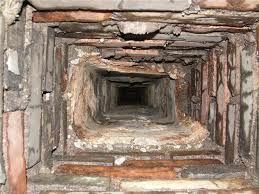 House hunters, if you see a chimney outside, do not assume there is a fireplace inside. 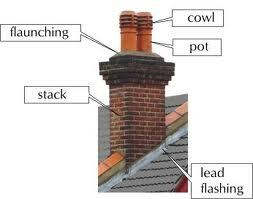 Most chimneys are venting the central heating system in the basement. If you see a mantle, don’t get too excited either. Mantles in the entry foyer of many two-family style condos are disconnected gas heaters. Those heaters were poorly vented and have been disconnected long ago because they caused deaths. 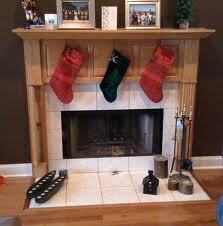 The pretty mantles remain, so Santa can have a place to find his cookies and milk. If there is a wood-fire fireplace, it may not be functional. Look at the floor area of the fire pit. Is it big enough for a good pile of logs? Does the ceramic or brick look intact? Is there ceramic, stone or brick in front to the fireplace to protect the floor from ash? Is there a hatch on the floor to sweep ashes into? 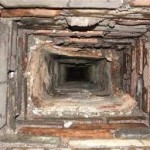 If all those things are good, you may still have problems with the damper or the flue. 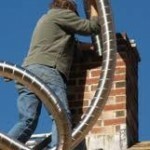 (The damper is the metal piece that allows air to go up the chimney or closes air off. 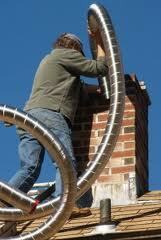 The flue is the open part of the chimney where the air flows.) Dampers get stuck, and sometimes rusty. They can be fixed most of the time. Flues were frequently not lined when houses around here were built. The air went up along the inside wall of brick. Over the years, that brick deteriorates. Many need to be lined now to make either fireplaces or heating systems safe. Some houses were built with clay liners. Some of those are still working well, some are deteriorated. 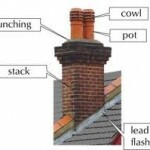 The modern answer is a metal liner inserted into the chimney to keep gases or fire from passing into the house through deteriorated mortar on the chimney. It is the flues that can be a big-ticket item. 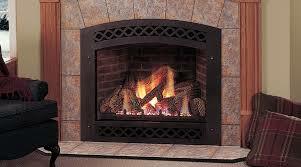 To avoid that expense, developers and home owners have been choosing gas fireplaces. 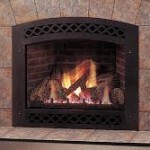 Modern gas fireplaces can be vented with a metal pipe, like a wood stove. They don’t require storing logs. They heat up right away. Some of my clients love them. Some of my clients hate them.